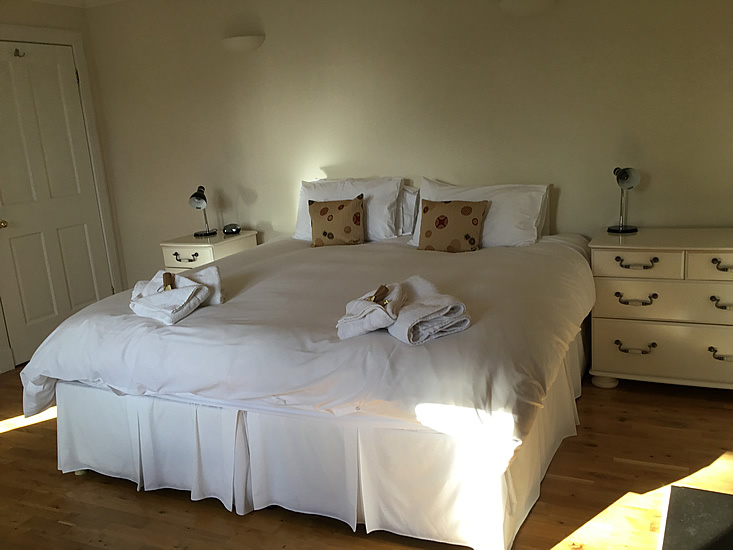 Six Superior Bedrooms all with en-suite facilities. 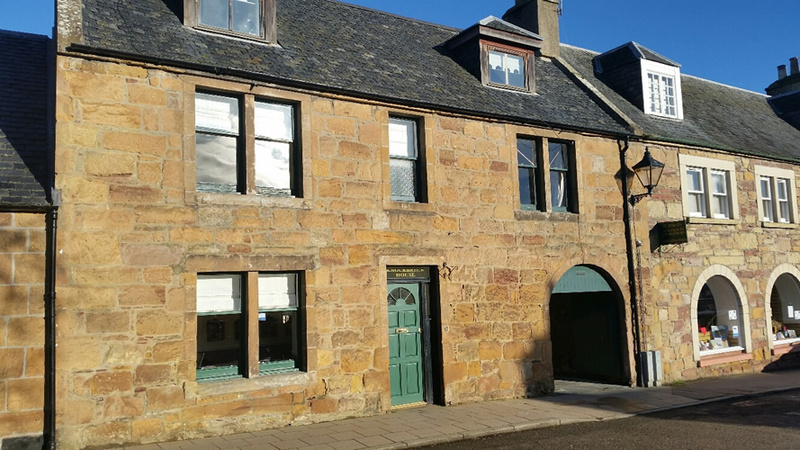 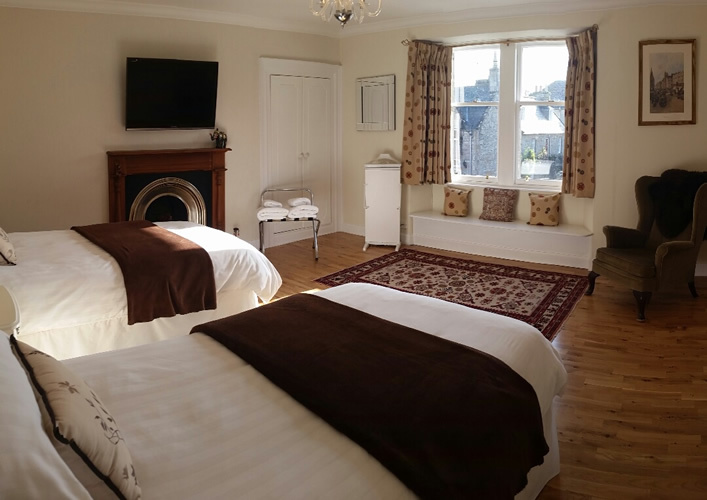 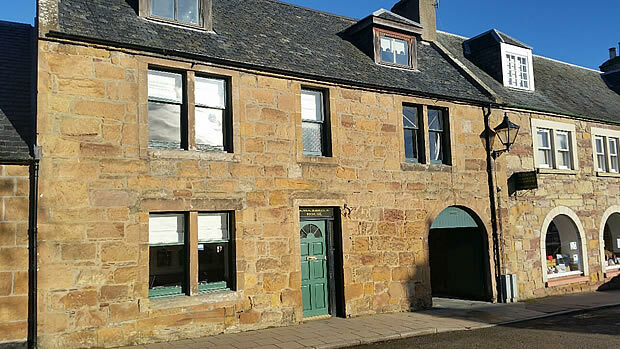 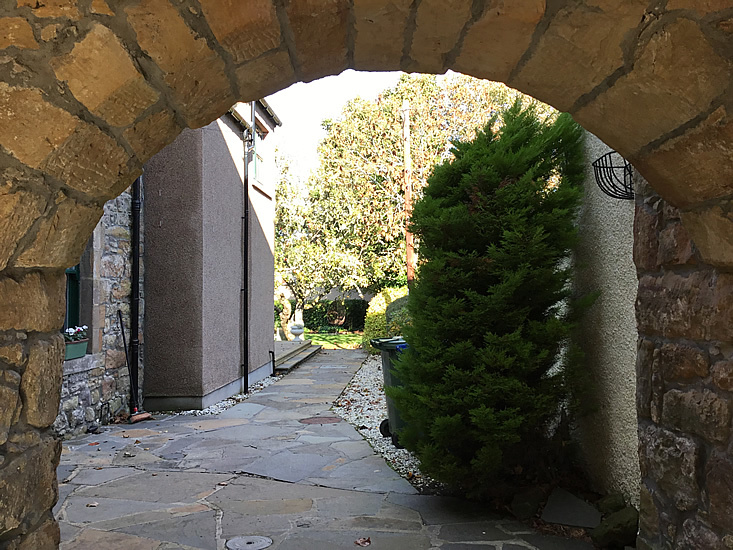 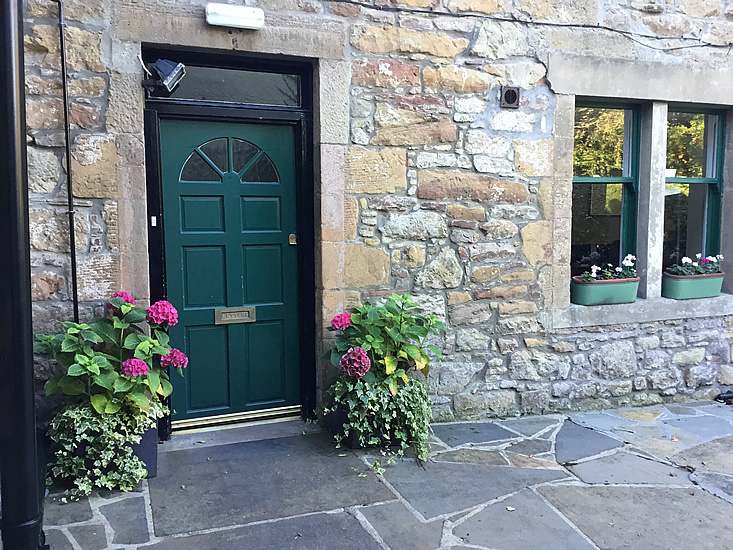 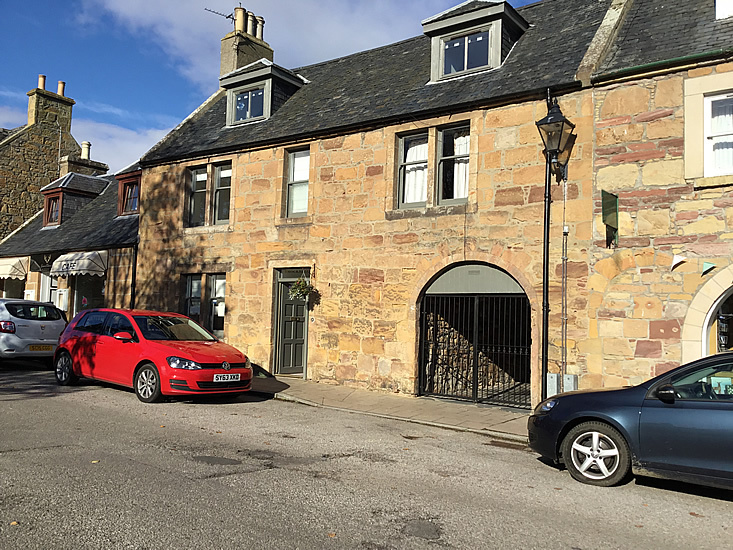 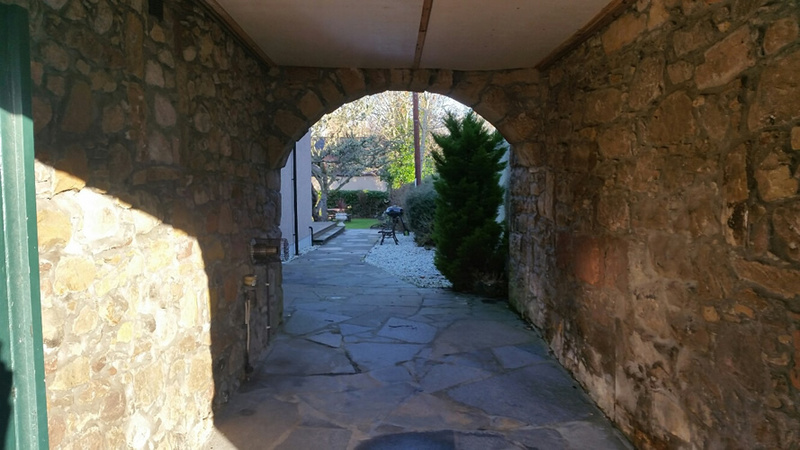 This beautiful stone built, 19th century house is in the centre of Dornoch, within the confines of the conservation area and adjacent to the famous Dornoch Cathedral. 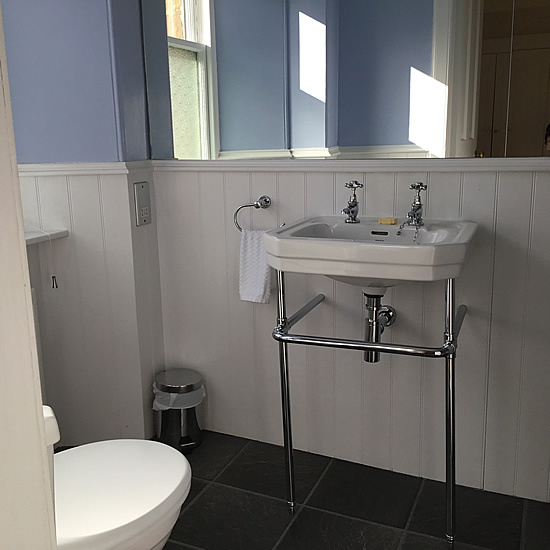 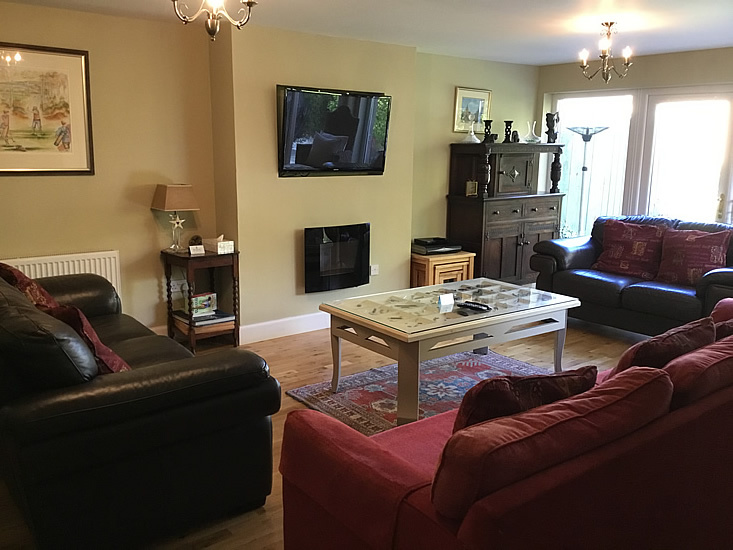 The house has been lovingly restored to its original glory, with pleasing features and all the convenience of modern technology. 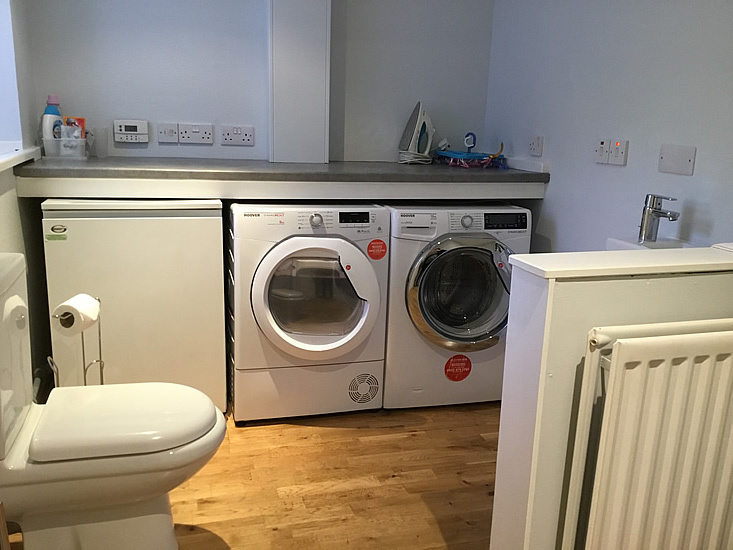 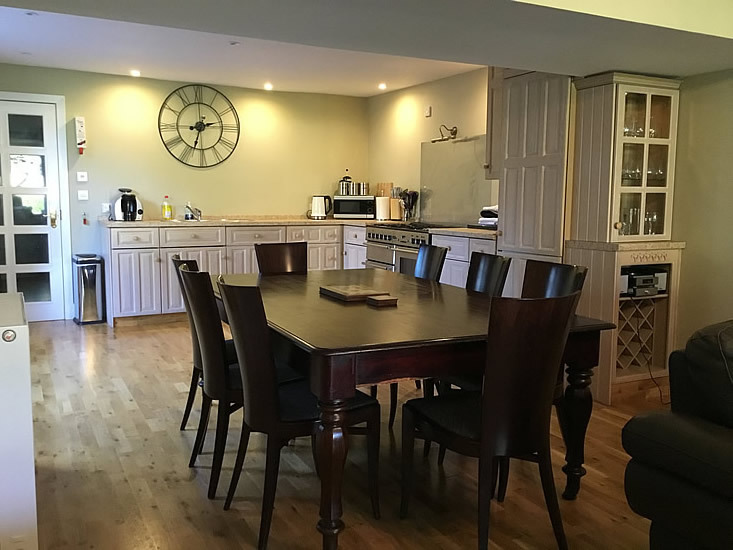 All the living space is on the ground floor and all sleeping accommodation is on the following 2 floors. 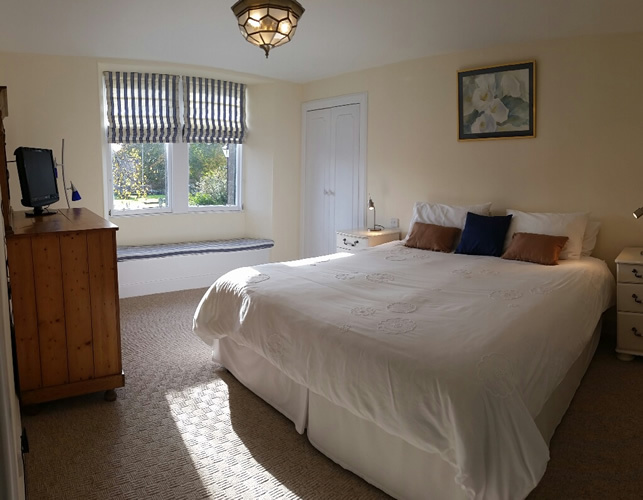 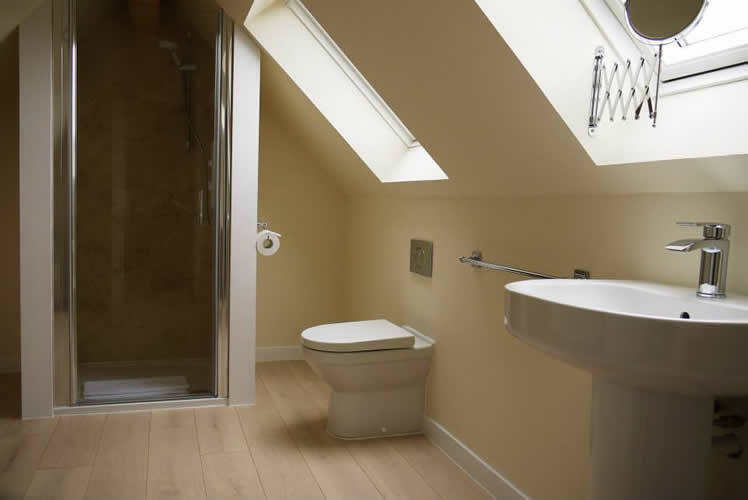 All bedrooms have en suites and wi fi is throughout the house. 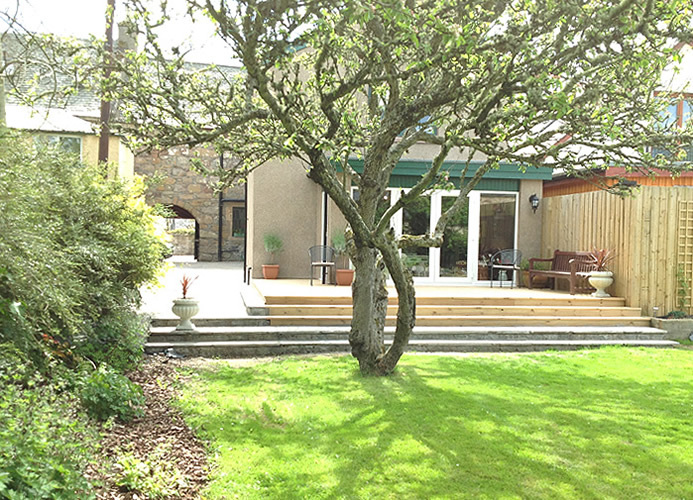 The open plan kitchen diner and sitting room, with its glass wall, opens up directly into the mature garden. 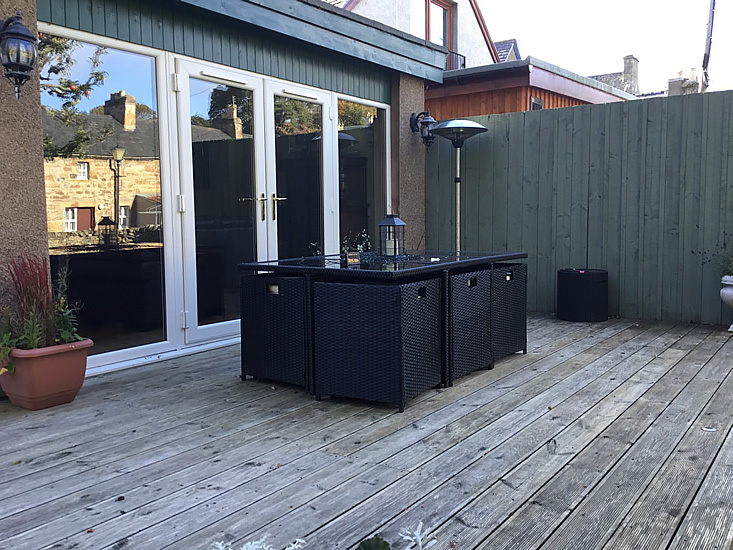 You can walk straight out onto decking, with dining and BBQ facilities, subtle lighting will tempt you outside for that last night cap. 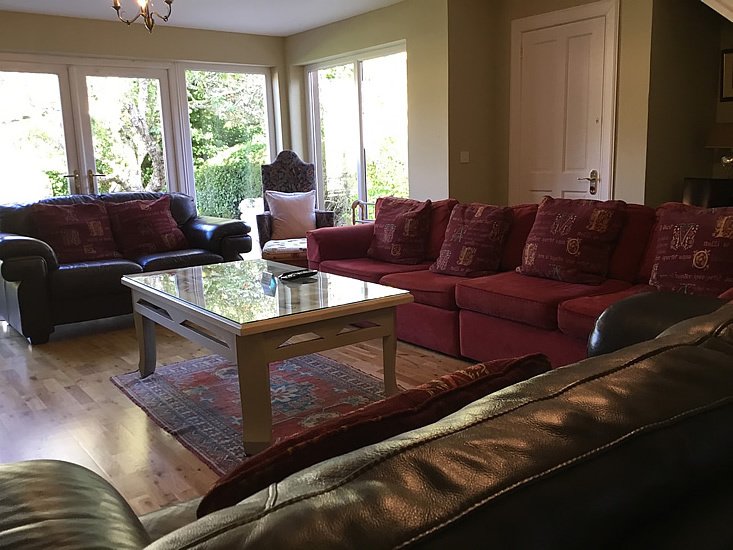 From here you step down to well kept lawns and flower borders, where you can sit under the old apple tree and pass the time of day with friends or relax in a lounger and read a book.